The following is taken from the MyHeritage Blog, dated 1 February 2019. There have been other stories about MyHeritage helping to restore art stolen by Nazis during WWII. We never tire of these great stories! 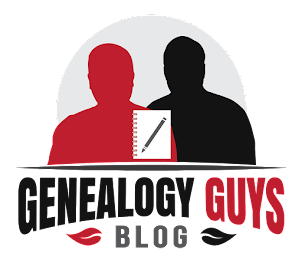 This is a story of genealogy at its best; a tale of reconnecting families with heirlooms that they didn’t know belonged to them or even that those items existed. Laurie Greene, 73, from the United States, could not believe what she heard when she recently received a phone call from MyHeritage. During that memorable call, she was surprised with the news that as a living descendant and rightful heir of the famous Dutch-Jewish painter Mommie Schwarz, she is eligible to claim 133 illustrations that were stolen from her great-uncle. MyHeritage, as a company, has a history of returning looted assets confiscated during WWII to their rightful owners. One of our driving forces as a company is to do good, and we place particular emphasis on conducting pro bono projects worldwide. In 2014, CEO and founder of MyHeritage, Gilad Japhet, was approached by New York Times journalist Doreen Carvajal with an interesting request. She had set out on a journey to return looted artwork stolen by the Nazis to their rightful owners. More than 2,000 unclaimed works of art, worth billions of euros today, are currently on display in 57 museums throughout France. The museums had not been able to locate heirs and rightful owners of the works. Doreen set out to change this and enlisted Gilad to assist. He began to research the heirs of four paintings from the looted art. They began with famous paintings that had records of provenance, showing who the owners were before WWII. Using MyHeritage and other online databases, he was able to trace the descendants and to uncover the hidden stories. What began as an exciting challenge evolved into an unexpected adventure for Gilad, who discovered tales of intrigue, plotting, and – unfortunately – tragedy, all laced through family history over several generations. He was able to discover heirs for all four paintings he researched, and the rightful owners have since filed claims with the French authorities. He has helped to return precious and extremely valuable heirlooms to those families and has uncovered and returned a lost and important part of their family history. The story by Doreen Carvajal was featured on the front cover of the New York Times art section. In October 2018, The Dutch Museum Association published its findings on an internal audit by Dutch museums to determine which artworks in their collections were presumably stolen from their Jewish original owners by Nazis during WWII. A total of 170 pieces of art were discovered in the audit, including drawings, paintings, sculptures, and other objects. The works of art in question included pieces by well-known Flemish artist Eugène Joseph Verboeckhoven and the Dutch-Jewish painter Mommie Schwarz. The pieces are held by 42 Dutch museums including the Amsterdam Rijksmuseum, the Stedelijk Museum, and Museum Kranenburg in Bergen. Intrigued by a new lead, MyHeritage set out on a pro bono initiative to search for living descendants who are rightful heirs of the original owners of the stolen artwork. Due to our previous achievements in reuniting families with lost artworks, we were positive we would have similar success with the Dutch artworks. After seeing the list of 170 works that were determined to have been stolen, Gilad stayed up the whole night researching each one. He could not rest until he had mapped the artworks that had the potential for locating the living heirs who had a claim to them. He then traced the descendants of Samuel (Mommie) Schwarz and handed the project over to the MyHeritage research team to take it from there. The MyHeritage research team began by examining those artworks with inscriptions, where the original owner’s name was known. Using MyHeritage SuperSearch, which contains millions of family trees and billions of historical records from around the world, they were able to find descendants of the original owners through the principle of reverse engineering. The team contacted the descendants, informed them about the traced art, and that they were the living descendants. Some descendants had no clue that they were related to that particular ancestor, or that they were the only living descendant. The descendants could then choose to file a claim to obtain the confiscated artwork for the family. This process led the MyHeritage team to call a few descendants worldwide, including Laurie Greene. 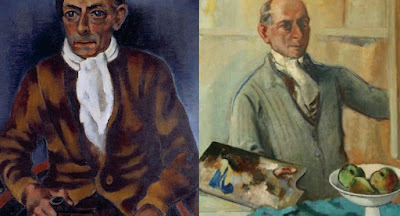 The Dutch-Jewish painter Samuel (Mommie) Schwarz was her great-uncle, the brother of her grandfather. Laurie had submitted testimony at Yad Vashem for relatives who perished in the Holocaust, including her great-uncle, for whom she submitted testimony in 1995. There she listed Samuel as a famous artist in Holland. Mommie Schwarz was born in Zutphen, the Netherlands on July 28, 1876, and married fellow artist Else Berg in 1920. The couple lived in Amsterdam and traveled often. Their work is recognized as the Bergen School. Mommie specifically created many port views, landscapes, portraits, and still lifes. The Municipality of Bergen owns the drawing “Dubrovnik,” and an additional 132 other sketches and drawings by Mommie. These works were acquired by the Municipality in 1969, although it is not clear from whom they were purchased and how Schwarz lost possession of them. Following the outbreak of the war, Mommie and his wife went into hiding in Baambrugge but decided to return to their house on the Sarphatipark in Amsterdam. There, they were rounded up on November 12, 1942, and transported via Westerbork directly to Auschwitz and were immediately executed upon arrival. Mommie did deposit some works during the war, but these 133 sketches were not among them. It is therefore not clear how these sketches left his possession. As rightful heir, Laurie is now eligible to claim all 133 illustrations that were stolen from her great-uncle. "I am going to do my utmost to claim this artwork back. I think it’s great that MyHeritage has proactively and voluntarily helped to make this possible. Bringing this art back into our family means justice after so many years." There are many more stories to be uncovered, but the message is clear: The information is out there, and it’s up to us to uncover the past and unravel the stories of our ancestors!